Hi Arolee999 , care to share the specs for your setup ? Thanks Arolee999. This would be good infomation for the rest of the forumers who wants to do something like your setup. Sorry ~ abit electronic idiot. Can ermmm Say the steps in details ? must i buy thermal grease ? step 1 : Read up and understand what is TEM. Then calculated the heatload of your tank. from the graph in my first posting. step 2 : Look at other's design. If you want perharps you can come up with your own design. Get the parts as you mention above and assemble your unit. thermal grease is a must . Its a help to conduct the heat from the TEM to the heat sink. 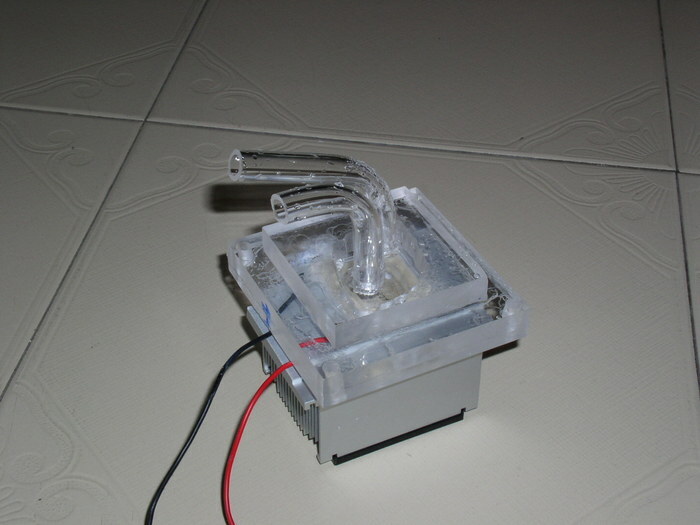 Bros, can u tell me what type of heatsink u use for the diy chiller to dissipate the TEM heat? From ur diy pictures, it doesn't look like normal aluminium heatsink, where to buy? Price? My heatsink is from foxcon .. ITs a heatsink for server. This type is heatsink is know as "Forced Convection" because it uses a fan to increase convection cooling . Got it from level 3 at SLT. First shop on your right when you comeup from the escalator. about $12 -$15 . try to bargain . foxcon is the shop name or the heatsink brand? level 3 is mean the most top floor rite? better can know the shop name of shop lot. i feel that my aluminium heatsink not good enough to conduct the heat from the TEM, so the cold plate no cool enough because the TEM delta temp is 68C, if the cooler the heat side, then the cooler the cold plate, rite?